Instagram seems to be at its peak in terms of popularity and is becoming a top channel for online advertisers. In the past two years, the social platform has greatly improved the advertising experience, catching its parent company Facebook from behind and showing tremendous progress. Instagram ads have great potential for marketers. This is proven by the fact that the number of advertisers on the platform has doubled from 1 to 2 million in just six months. 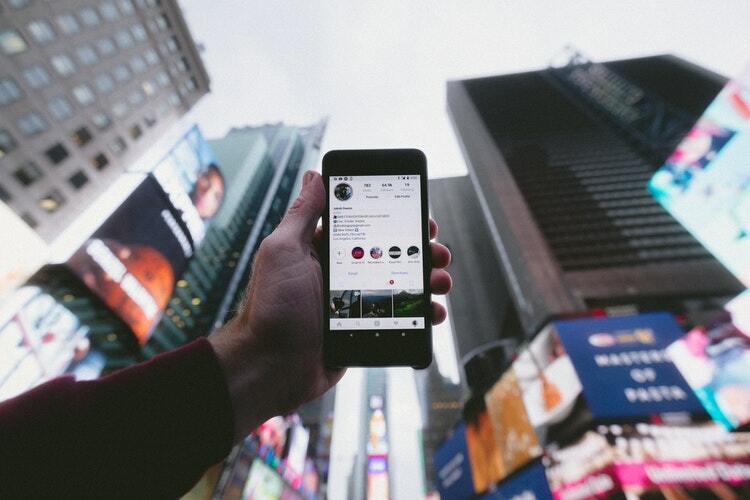 The success of Instagram advertising is partly due to the fact that visual media is more effective at engaging audiences than other marketing channels. Also, we can attribute it to the expansion of mobile technology. Moreover, Instagram is basically leaning on Facebook’s successful advertising algorithm. If you are a beginner advertiser and want to learn how to create successful Instagram ads, the most important thing you need to know is that your ads shouldn’t look like ads. Remember that your Instagram ads will appear in users’ feeds along with posts shared by their friends and all the Instagram accounts that they follow. In order to boost engagement, avoid blatant product promotion and make your Instagram ads look like natural, organic content. This means that it would be best to make your ads blend in to increase your chances of getting more click-throughs. A way to do so is to plan ahead and post organic content with the same theme as your ad before launching the actual ad. Also, it’s recommended to incorporate actual, relatable people into the images and videos you use for your ad. Studies have shown that images that contain faces get 38% more likes than other types of content. try to answer their questions in advance or cater to their needs and problems. Additionally, it’s also a good idea to take a peek at what others are doing and learn from them. Study the advertising strategies implemented by other successful retailers. Use their best ideas to get the most out of your ads. Here are 10 examples of successful Instagram ads that could inspire you to create great content for your followers. A good strategy to make your ad stand out when people are scrolling through their feeds is to use bright colors. Just look at this ad from Joybird! The pink sofa is guaranteed to make people look twice. Moreover, the ad has a clear call-to-action. It uses numbers upfront revealing the discount they are promoting with this post. This Instagram ad from Mash Grape is genius. Why? Simply because it creates a little bit of mystery. Just like those brands that offer themed box collections and make people curious about what they will receive, Mash Grape incites people to click through in order to find out more about their offer. The Economist’s Instagram ad below is a good example of a successful ad because it doesn’t let people guessing. It showcases their magazine covers in the image. People can know right away what product is being advertised. Also, the fact that they added pricing details on the image makes the ad more informative. This is a video ad for workout app Aaptiv which uses flashy images to attract viewers who might otherwise scroll past. The montage is not as complicated as you might think. It’s just a classic training sequence people usually see in sports movies. However, the ad reaches its goal – associate the person in the ad with the product and thus motivate the viewer. This Macy’s ad designed to promote the new line of Pantone cosmetics is eye-catching. Not only due to the sweet colors it uses but also because of the bouquet of flowers is placed next to its products. It’s pretty, it’s color-coordinated, it’s neat and makes people want to buy those products. Rains is an apparel brand that made use of the carousel ad format to showcase their products. They use high-quality, professional photos that show their products in the best light and the best combination of colors. Also, the image format they use is very interesting, portrait instead of a square. The following Instagram ad from food delivery app Sprig also counts on color to appeal to potential customers. But this time it’s not only the combination of colors but also the meaning behind them. The people who created the ad know that green is the color that will get people hungry and used plenty of it in their image. A good example of ad that effectively combines image and text is The Dots’ ad below. The picture has a colorful background and the ad copy integrated within it gives people an incentive to click through. The use of the right call-to-action “Learn More” and the mention of a well-known customer name (Gemma Pearce) are also tactics to attract more customers. Worldwide accommodation service provider Airbnb knows what it’s doing with this ad. They used the carousel ad below with simple images that show cozy, elegant, modern and traditional house interiors to tell people they have everything one might need. Actually, they have something for every taste and need. The use of numbers on the image to show the price of each apartment/room/villa is also a good point. Instagram ads can have great results when you use action words. See 8fit’s ad below as an example. Verbs like “Start,” “Use,” and “Change” indicate that viewers should take action after seeing the ad. Additionally, the brightly-colored image they used looks amazing and reminds people of their everyday life, making it relatable.